Just What Are We Going to Do With Bank Branches? A statement that we’ve heard probably a million times or more. The very same statement that normally comes accompanied with the cause of death and murder weapon being shifting demographics and digital technologies. A quick glance at the news cycle seems to quickly confirm that fact, with stories being littered with terms like “branch rationalisation” and “branch optimisation“. 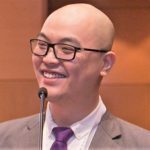 However we at Fintech News Malaysia being the stubborn bunch that we are, we refuse to just accept that notion wholesale and decide to dig a little deeper into the matter. By “dig a little deeper” I meant painstakingly sifting through a decade worth of annual reports of the top 4 banks with the most branches in Malaysia. In doing so, we are able to visualise the data and more accurately pinpoint the state of branch banking in Malaysia. 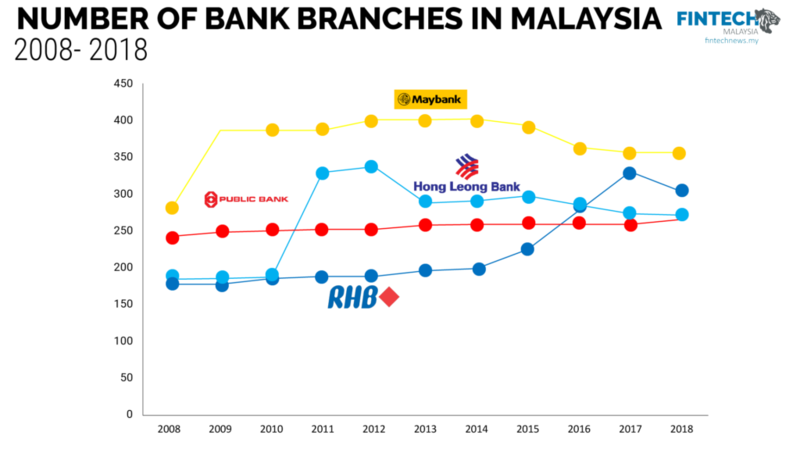 You’ll notice CIMB visibly missing in the chart as despite our best effort, there were some years in the annual reports that branch data was not shared. There are more bank branches today than there are 10 years ago. 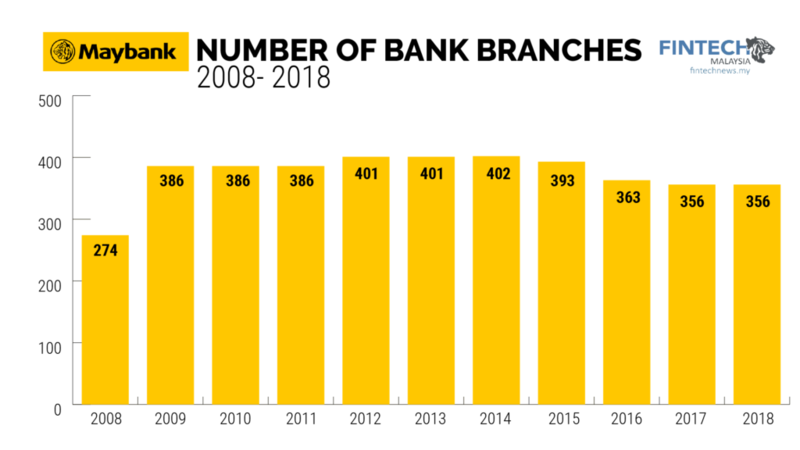 Interestingly, between 2008 to 2015 you’ll notice that most banks are increasing their investment into branch banking despite the fact that online banking was introduced in 2000 and mobile banking introduced in 2009. Unsurprising to those who are familiar with Public Bank’s modus operandi, Public Bank is the only one that has not reduced the number of bank branches. 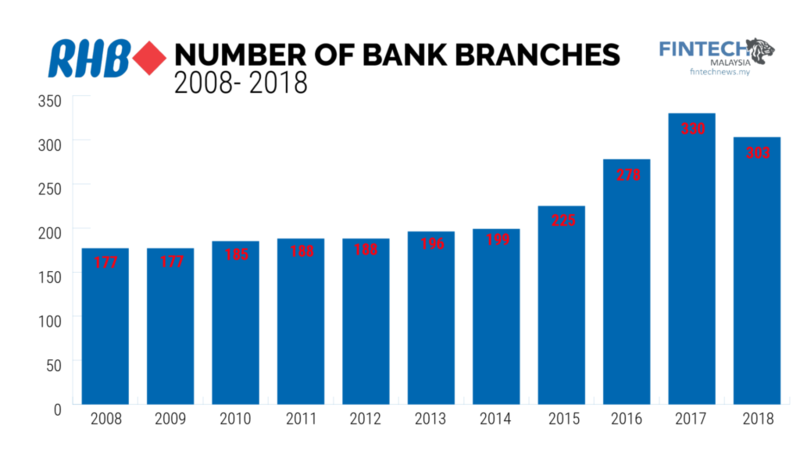 In fact, they’ve been gradually but consistently increasing the number branches over the past decade. 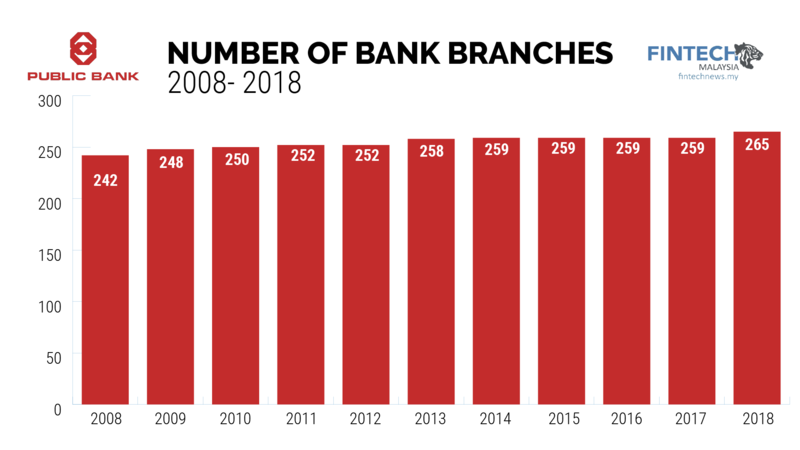 Despite the fact that there are more branches 10 years ago than there are today, one should not be under the illusion that branches will still be the mainstay of banking. 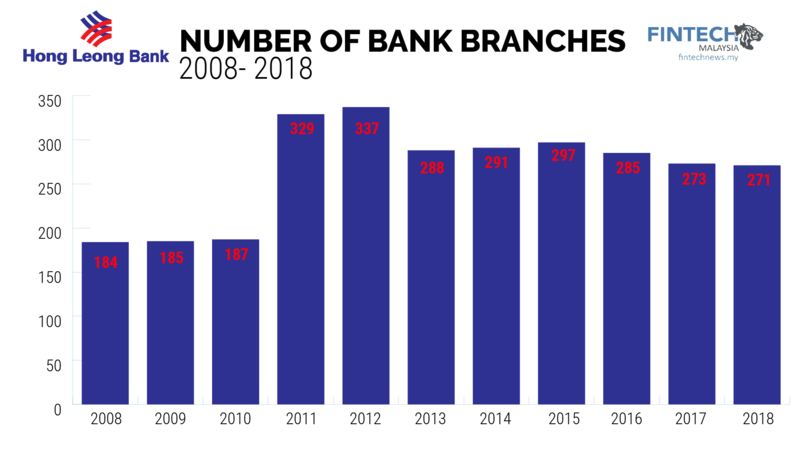 Data between 2015 -2017 spells out a larger trend of banks fizzling down on branches — a trend that will likely continue in the next few years. Where does that leave branch banking? This is a question that becomes increasingly relevant with Bank Negara Malaysia recently announcing that they will be following in the footsteps of Hong Kong and coming up with a framework for virtual banking. It is easy to make a clumsy logical conclusion that branches will lose its relevance altogether and banks in the future should exists solely within the virtual space. 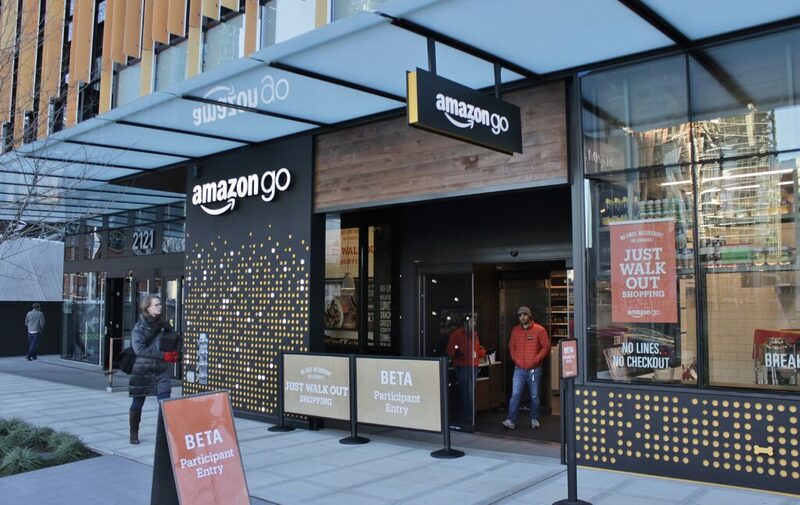 However, we need to remember that even some of the world’s most digital companies like Amazon see the value in retail spaces, a point that was well made with their acquisition of Whole Foods for $US 13.7 billion. Coupled with the fact that the earlier fervor from banks to invest heavily in expanding the branch network means that despite their best efforts to reduce bank branches there will still be a sizeable number at least in the near future. The question that remains is, just what should we do with these bank branches? The Need for Radical Ideas? 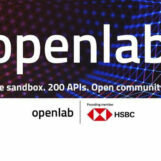 There’s no shortage of novel ideas on how to reinvent branch banking from DBS Bank’s cafe branch to Indonesian Bank Jenius’ pop up branch or this fully digital bank branch by Unionbank. There’s a thematic focus to these branch redesigns which focuses either on the experience or branch efficiency (whether driven by tech or retail space). Perhaps the most radical idea that I’ve come across is from Jim Marous, who suggested that banks should consider turning their branches into co-working spaces as a means for provide value to its SME clients. He opines that with so much underused space in banks, this may be one of the lowest cost and highest potential of return possible. Getting a sense on the development back home we speak to Carol Wang, General Manager for BFSI in TM ONE. She shares that while going digital is the future for banking there is still a segment of consumers that are still left behind by the digital divide and that it is important for banks to provide the best level of service they can when a customer does walk into the branch. She further adds that branch transformation is not simple matter of deploying the latest analytics or adding fancy digital walls, at the core of it banks need to consider how these technologies contribute the following 3 objective; delighting customers, reducing costs, and increasing revenue. Carol concludes that in essence the experience of walking into a bank branch should feel more like walking into an Apple flagship store than walking into a stuffy bank branch.